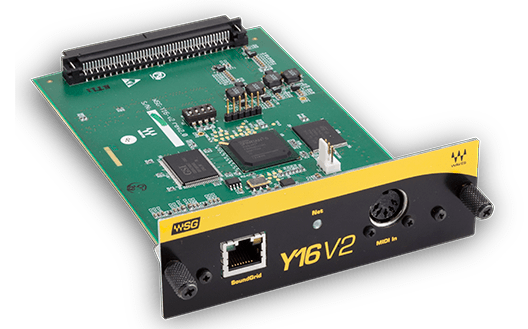 The Waves WSG-Y16 V2 I/O card for Yamaha digital consoles enables integration with Waves SoundGrid systems via a single Ethernet cable, providing live sound engineers with access to SoundGrid’s low-latency plugin processing, multitrack recording and playback, and audio networking. 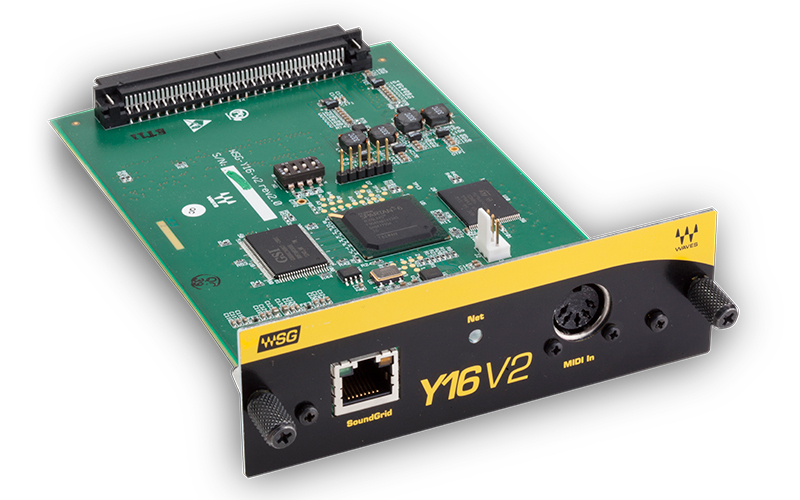 WSG-Y16 V2 also features clock Sync over Ethernet for syncing multiple consoles and performing digital splits. Together with a SoundGrid DSP server and a Mac or PC, the Waves WSG-Y16 V2 card lets you process 16 channels of audio in low latency using SoundGrid-compatible plugins, directly from your Yamaha console.